88 senators are urging the Obama administration to act to take Gaza away from its Hamas terrorist rulers and hand it over to the Palestinian Authority (PA), The Daily Beast reports. 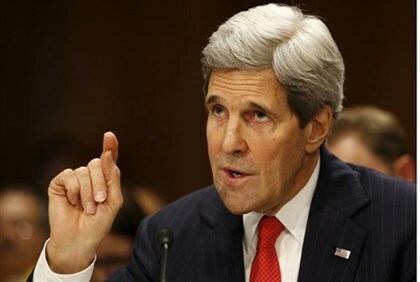 The letter to Kerry was circulated in the senate by Sen. Kelly Ayotte, a Republican and Sen. Bob Casey, a Democrat, according to The Daily Beast. The senators said in the letter they support humanitarian aid to Gaza but will oppose reconstruction of Gaza until Hamas disarms, a position which is the same as the Israeli government and which Hamas has rejected. The senators also urge Kerry to continue to work against efforts from PA Chairman Mahmoud Abbas to target Israel in international forums, such as the International Criminal Court. “All Palestinians deserve a government that will seek to advance their safety and prosperity—not use them as human shields,” the senators wrote. This is not the first time that senators have urged Kerry to take action with regards to Hamas. In May, U.S. Senators Mark Kirk (R-Ill.) and Marco Rubio (R-Fla.) called on the Secretary of State to publicly state that there will be an immediate cut-off of relevant U.S. assistance to the PA, should its unity government fail to comply with the detailed requirements set forth by the Palestinian Anti-Terrorism Act of 2006.